Violinist Leonidas Kavakos is suing Los Angeles-area luthier Nazareth Gevorkian over an 1850 J. Henry Bow for which he'd paid 65,000 euros (about $80,000) in August 2012, according to Courthouse News Service. The report said that "he brought it to Gevorkian in January 2013 to find out why the bow was curved." The complaint says that Gevorkian "began applying pressure to the Henry Bow, at which time the Henry Bow snapped into two pieces." Kavakos said Gevorkian did not heat the bow first, as he should have, to make it more responsive to bending. Though this is an extremely unfortunate incident, it is certainly not the first time a good shop has accidentally broken a bow; colleagues have related stories like this to me before. Usually it's settled with insurance companies; it's interesting that this one has gone so public. I can attest that Gevorkian is a luthier with a fine reputation (he has done work for and sold violins to my colleagues and even to my own students in LA). What thoughts do luthiers have on this incident? What is the cause for a bow being overly bent? How common or rare is it for a 165-year-old bow to snap? Does one routinely heat a bow when evaluating its curvature or attempting to bend it? Would the bow's fine provenance make it any more or less susceptible to breaking? Any features of this bow maker that are of interest, bearing this incident in mind? V.com weekend vote: How many bows have you broken? Although I am not a scientist, excuse me, a luthier, it seems a huge mistake not to heat the bow before bending it. The people who have worked on a couple of my bows in the past always heated them before doing anything--one even told me the importance of doing so. Just my experience, however. All of the people who have worked on my bows bend the bow to test the tensile strength and flexibility of the wood BEFORE heating it. Heated wood does not give you a realistic sense of the qualities of the wood or its performance when actually being played. Bending the wood, I believe, is not for aesthetic purposes. Heating and recambering the wood before checking the qualities of that wood and diagnosing the problem is like going into a doctor's office with the sniffles and the doctor immediately directing you to surgery. So, here's a total newbie question... I have gotten many old bows with turn of the century or 19th century violins over the years, and with maybe 1 exception, every one of them was worthless as a bow because they were bent, cracked, had lost their strength, etc. How does someone who buys an expensive old bow mitigate against the risk of structural defect in a 200 year old bow worth $80,000? And what is it about those bows that command that kind of money? "All of the people who have worked on my bows bend the bow to test the tensile strength and flexibility of the wood BEFORE heating it..."
Yes, I could imagine someone giving the stick a little pressure to get an idea of the "before" flex for comparison, but overdoing it just a little too much. The bow may well have had a preexisting weakness. One of my previous bows, a good French one, had a prominent knot, which I was told could cause disaster if recambering were attempted (it didn't, luckily). I once had a very well-known long-time luthier in the Cleveland area throw my violin around in a very casual manner, almost tossing it onto his (note: not "her" in case you Clevelanders are wondering) bench. It left a scratch, thanks a bunch jackass. I once read that instrument repair is among the most stressful of occupations, which I now understand by working on pianos, on which there are many (infinite?) ways to screw up something. Piano techs have to heat up hammer shanks to bend them, but even with careful heating, they can still crack with the slightest excess of force. "...but what is it about a bow that makes it worth that kind of money? I have gotten many old bows with turn of the century or 19th century violins over the years, and with maybe 1 exception, every one of them was worthless as a bow because they were bent, cracked, had lost their strength, etc...."
Sal, you just answered your own question: really fine-handling and sounding bows are extremely RARE. Finding "the" bow is a matter of finding a needle in a haystack. Even among big-name French bow makers, you really have to spend time looking before you find something really fine. One of the basic problems is that when someone finds that great bow, they hang onto it till they die. Most of the bows circulating are ones someone decided they didn't want for some reason: too light, too heavy, too stiff, too flexible, poor condition, etc. 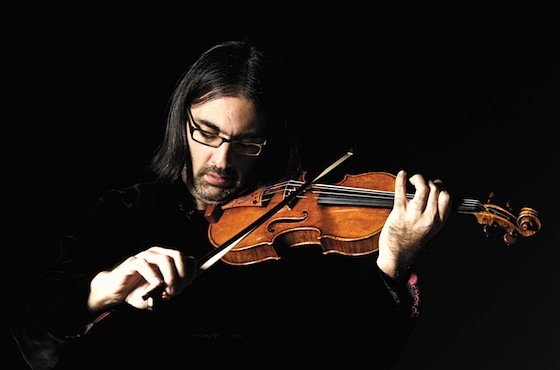 I doubt Kavakos wanted to pay that much, but simply found his "it" bow, one he may never find again. A question: Are all luthiers experts at bows and bow repair? Or is that a different craft altogether? It seems to me at that price point you would only take the bow to a bow specialist, even if you bought the bow at a fine reputable shop, which is the case here. Any thoughts, anyone? "Are all luthiers experts at bows and bow repair?" Hell no. In fact, there are plenty of "luthiers" who are "expert" at nothing. Even at big, nationally-known shops I've seen dubious work. Sorry, Moenig fans, even they had their poor repairs..
"A question: Are all luthiers experts at bows and bow repair?" No. Specializing in one or the other is quite common. There's an awful lot to know to be competent even in just one field. And even specialization is no guarantee that they are any good. If I wanted a bow of that value re-cambered or straightened, I'd take it to the "best in the business", even if it meant traveling to the other side of the country. There are so many unforeseeable factors. When buying used it can be a crap shoot. No one is perfect and there is absolutely no way to foresee everything. There is a reason "insurance" agencies exist. No one can "know" it all or foresee everything. $80,000 for a 200 year old bow seems an incredible risk, and also something of a vanity buy. I mean, it's not actually a magic wand. Kavakos can have his pick of amazing modern bows that would not break on simple handling and inspection by a master luthier. I suppose the facts of the case will come out. I imagine they were on video the entire time. That would be an antique/investment bow. It's all very unfortunate!